Everyone has a beauty that is uniquely their own, based on their innate nature and the life they lead. 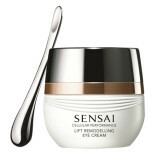 SENSAI respects this individuality, and is ready to help you enhance your unique body. 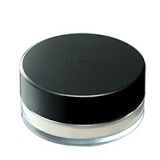 An anti-ageing suncare foundation that is available in four shades. The SPF30 Sun Compact is formulated with a powder that covers pigmentation and dullness to deliver a beautiful even skin tone. Price: R840 Availability: SENSAI counters nationwide. Ultimate The Concentrate is rich in active ingredients which stimulates the skin to activate cell turnover and repair and protect against the visible signs of ageing. A precious concentration of luxurious ingredients. 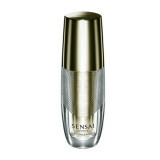 Just a single drop awakens skin vitality to deliver exceptionally beautiful skin. Price: R10 130 Availability: SENSAI counters nationwide. 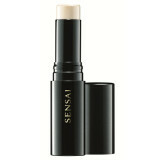 The SENSAI Skin Focus Corrector forms part of the SENSAI Foundation Series – skin that's flawless, smooth and beautifully even. The richly hydrating effect of the Skin Focus Corrector gently envelopes the skin to even out its surface, creating a long-lasting silky smooth finish that improves the coverage of foundation. Price: R635 Availability: SENSAI counters nationwide. 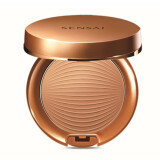 The two-colour gradating bronzing powder of Sensai's featuring Designing Duo Bronzing Powder has particles consisting of 24K gold and pearl for a gleaming finish. The two shades work together to create a subdued bronze glow with shimmering golden highlights.